MadeFirst fabricated multipe elements for the Q Ideas 2014 conference at War Memorial Auditorium in Nasville. 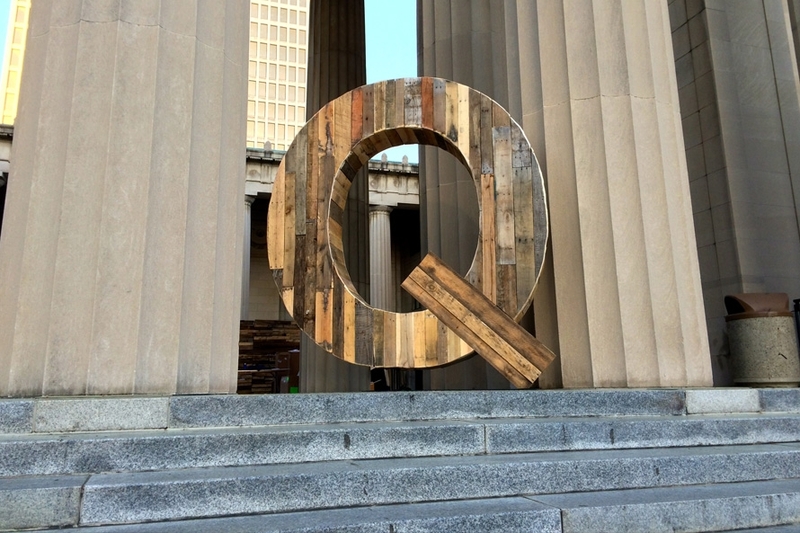 The 8' tall "Q" and the 48' long "Market" wall outside were made of recycled pallet wood. The 8' tall 40' long curved wall on stage was wood framing with white decorative tiles adhered.